With just over 3 weeks to go until the release of their new album on April 29th, another feature has just been published on west coast hip hop group Horseshoe Gang. This time, the UK’s online magazine Guestlist Network discuss the meaning behind the album’s title “Anti-Trap Music”, and the influence growing up in Long Beach has played in their approach to rap music. They also discuss the political situation in the States and the representation of that in their rhymes while naming the musical and historical figures who have been their main inspirations. Just as they have been for the past couple of months, the group are busy conducting interviews with local, national and international publications, and will release their fourth single from the album, “Intro” featuring their brother KXNG Crooked” next week. The group release their new album “Anti-Trap Music” on April 29th, and this live freestyle of the same name lays the cards on the table so you get the concept. Last year the group released their “Knockin on Rap’s Door” Ep and picked up the gauntlet laid down by Funk Volume with their rap battle challenge, resulting in appearances on Sirius XM’s “Sway in the Morning”, DJ Vlad TV and features in HipHop DX and AllHipHop. The pair discussed the progression from producing for fellow American Roulette stablemate Londn Blue to picking up the mic since the turn of 2015 as he embarks on his own solo career, and the recording process of his EP. In the lead up to the release of their new album “Avant Garde” on 12th May, Constant Deviants launched their 3Stylez series, a trilogy of videos showing the pair performing live with DJ Cutt on the decks and Emcee M.I. freestylin some bars. 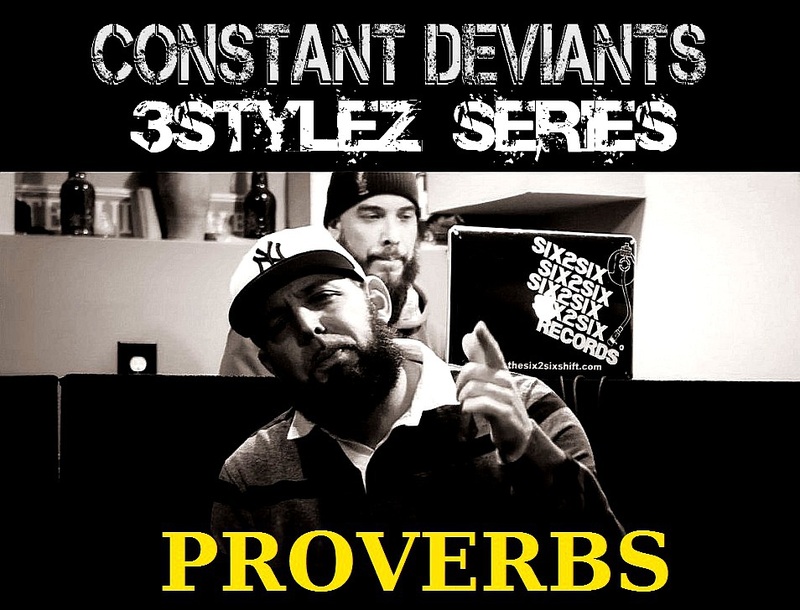 Constant Deviants – 3Stylez Series Episode 3 – "Proverbs" from UrbanElite Promotions on Vimeo. A recent guest was Bishop Lamont, and this week’s guest in only its fourth week running is Constant Deviants emcee M.I. The show streams live on Youtube, Google Hangouts and EveryJoe.com at 7pm EST (5pm PST / midnight UK GMT). Tune in for what’s likely to be lively debate, but if you can’t catch it live, the show is recorded on youtube and we will upload that here shortly. Meanwhile, check out the new freestyle video “Heavy Artillery”. This is the first in the “3Stylez” series, a trilogy of videos recorded showing Constant Deviants perform live with DJ Cutt on the decks and M.I. spittin bars. Look out for Episodes 2 & 3 coming soon. Constant Deviants – 3Stylez Series Episode 1 – "Heavy Artillery" from UrbanElite Promotions on Vimeo. 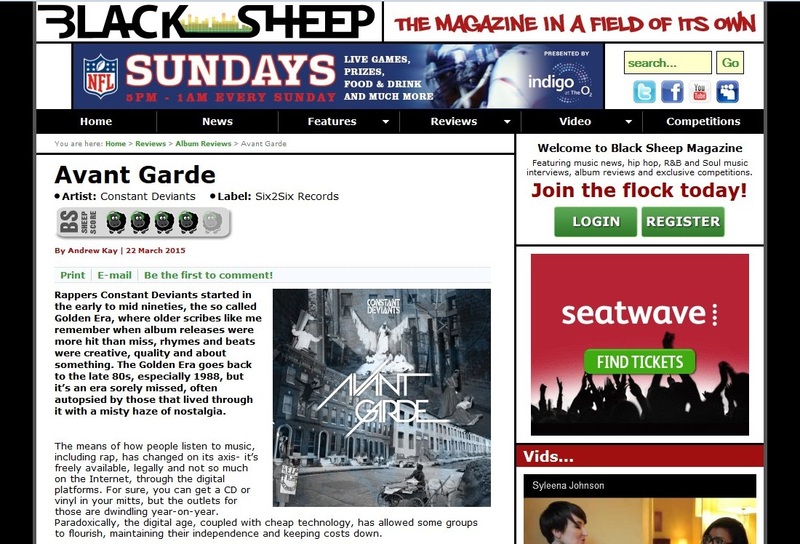 Constant Deviants release their fourth studio album Avant Garde on 12th May 2015, and the UK’s online publication Blacksheep Magazine have just published their review, affording the release a 4 star rating. The veteran duo of Baltimore emcee M.I. and New Jersey producer DJ Cutt have been prolific over the past few years since the setting up of their own Six2Six Records imprint, with a string of releases on vinyl, CD and digital formats. Their early releases “Competition Catch Speed Knots” and “Can’t Stop” date back to the 1990’s and led to a time in the Major sector working with Arista and Roc-A-Fella records before returning to the independent fold since 2009. You can connect with Constant Deviants online, via twitter @Cnstnt_Dvnts & @Six2SixShift and on Facebook “ConstantDeviantsMusic“. 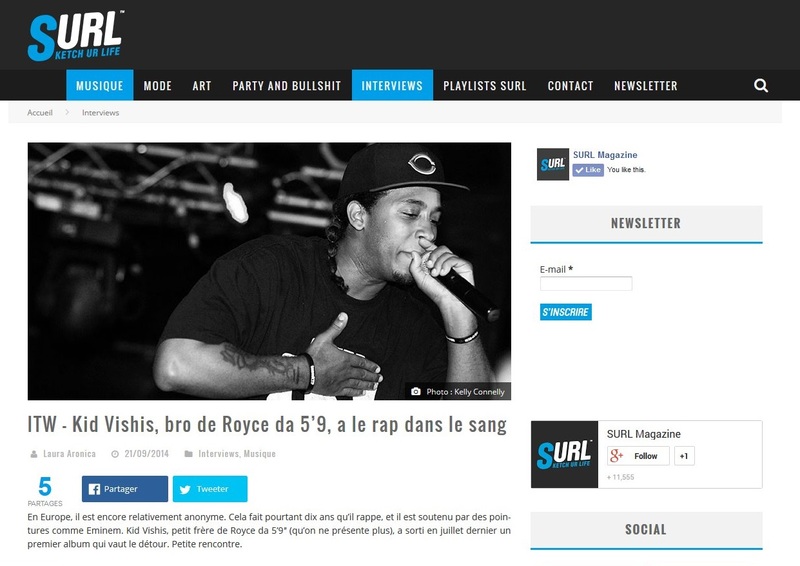 French Magazine SURL sat down with Detroit MC Kid Vishis recently in the baftermath of the release of his debut album “Timing is Everything” which released on Seven 13 Entertainment on 22nd July. 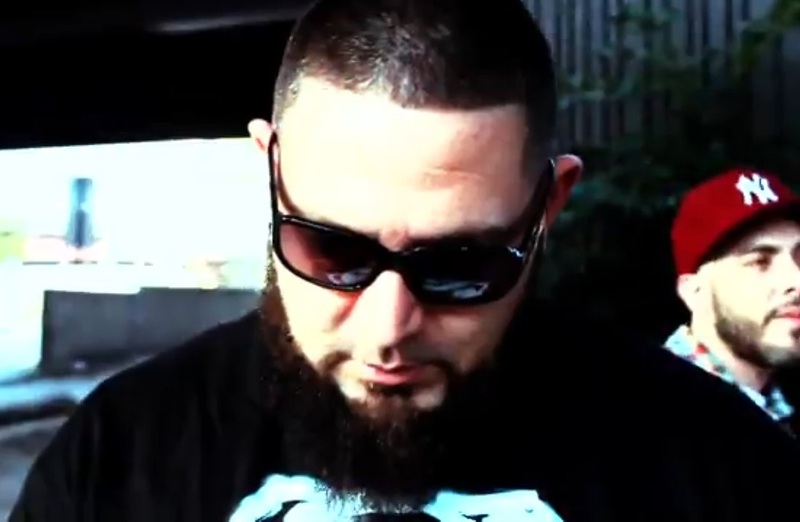 Their writer Laura Aronica discussed with him the style of hip hop which he represents, the inspirations for writing and the influential roles played by his older brothers (including Royce da 5’9″) over the years, and his vision for the future both in terms of his own career and the hip hop scene generally.